I wonder how many of His Apostles had publicly declared who Jesus actually was. Since Jesus’ ministry gained momentum, He seemed to shield His identity due to the direction the crowds were carrying. People were more concerned with miracles, signs, and wonders. 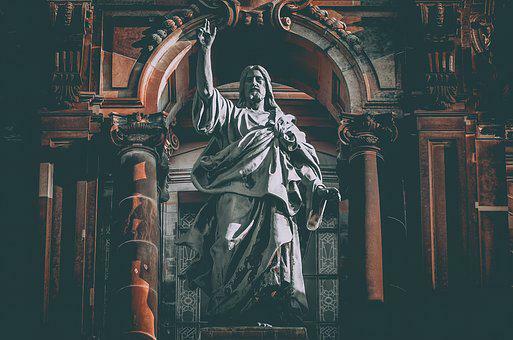 Jesus realized that when the multitudes believed He was the Messiah, they would revert to their preconceived notion that the Christ would deliver them from Roman rule. When is the last time we simply meditated on who Jesus is? When is the last time we concentrated on His personage, rather than the miracles? When is the last time we dwelt on His attributes, instead of about the benefits we received from Him? Let’s spend a day just pondering about who Jesus is, and when we do, let us display to others the Jesus we’ve grown to know. (Matthew 16:17) The Apostle Paul said that the Gospel he proclaimed was not a result of someone instructing him or of hearing it from a individual, but through revelation from God Himself. (Galatians 1:11-15) TRUTH IS REVEALED FROM THE HEART UPWARD, NOT FROM THE HEAD DOWNWARD. It’s not horizontal, but vertical disclosure that solidifies the Believer. When we reverse the procedure, we open the door to potentially misinterpreting God’s Word. When we start in the mind, our feelings and emotions will have a strong influence. When Paul received revelation, he did not”confer with flesh and blood,” but obediently acted without hesitation. (Galatians 1:16) How many of us have questioned our own activities? 1 moment we’re convinced of the validity of our actions, and in a short time we question if we are doing the right thing. When we act as a result of head knowledge, we will most likely question some of our activities. May the Holy Spirit show God’s Word and, when He does, let us pursue life without a rear view mirror!